AbbVie’s rheumatoid arthritis drug upadacitinib is at the top of a new list of drugs due to launch this year that are expected to make blockbuster sales by 2023. JAK1 inhibitor upadacitinib for rheumatoid arthritis will be a $2.2 billion product by that time, predicts Clarivate Analytics, despite launching into a crowded market. That’s good news for AbbVie, which needs upadacitinib and other late-stage candidates to deliver big sales before its big-selling immunology drug Humira (adalimumab) loses patent protection. Updacitinib is due for a US regulatory verdict in August and an EU decision in around October, and if approved will launch in opposition to biologics for RA as well as other JAK-targeting drugs, Pfizer’s class-leading Xeljanz (tofacitinib) and Eli Lilly’s Olumiant (baricitinib). The sheer scale of the RA market means upadacitinib can hit its blockbuster sales whilst playing second fiddle to Xeljanz, which is tipped to become a $3.3 billion product in 2023. AbbVie’s drug is one of seven drugs tipped for $1 billion-plus sales in 2023 in a list dominated by immune-related and genetic disorder products, with a strong showing of orphan drugs and breakthrough treatments. This year’s report “demonstrates the impact of regulators’ incentives, including accelerated reviews and tax breaks, on drug development that targets rare diseases,” says Mukhtar Ahmed, president of life sciences at Clarivate. Between them the seven blockbusters-in-waiting have nine US, four EU and one Japanese orphan drug designations, four FDA breakthroughs and two EU PRIME awards, along with one US Regenerative Medicine Advanced Therapy (RMAT) designation and a Japanese Sakigake status. Updacitinib is almost unusual in that it targets a common condition, and the opposite applies to number two on the list – Novartis/AveXis’ Zolgensma (onasemnogene abeparvovec) for the rare disease spinal muscular atrophy (SMA). 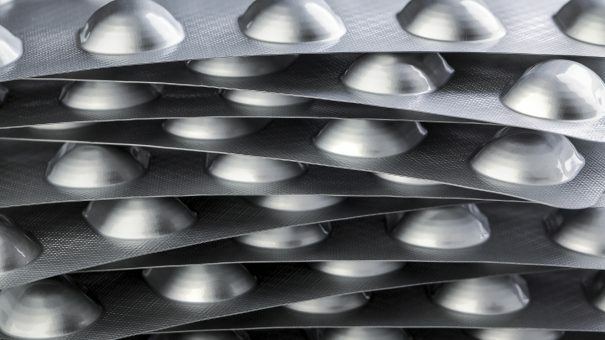 That is heading for $2.09bn in sales in 2023, says Clarivate, despite facing immediate competition from Ionis/Biogen’s Spinraza (nusinersen), which has been available in the US since 2016 and the EU since 2017. Spinraza was a $1.7 billion treatment last year but could face stiff competition from Zolgensma which is a one-shot gene therapy designed to correct the underlying defect in SMA while Spinraza has to be given chronically by intrathecal injection. Zolgensma will start with a narrower indication initially if approved, as it has been filed for SAME type 1 only while Spinraza is approved for all forms of SMA, although Novartis is planning follow-up filings to extend the use of its therapy. Third on the list is a drug targeting another big disease category – AstraZeneca/FibroGen/Astellas’ roxadustat – which is a first-in-class HIF-PH inhibitor for the treatment of anaemia caused by chronic kidney disease (CKD), which affects more than 200 million people worldwide. Clarivate’s sales forecast for the drug is $1.97 billion in 2023. It has been approved in China and is due for launch this year for CKD patients on dialysis, and is under review in Japan with a US filing due in the third quarter. It will enter a market well-served for decades by erythropoiesis stimulating agents (ESAs) which suffer however from safety concerns, including greater risks of cardiovascular events and tumours. Next up is Alexion’s Ultomiris (ravulizumab) for paroxysmal nocturnal haemoglobinuria (PNH), a rare, potentially fatal blood disorder that is a follow-up to the company’s established blockbuster Soliris (eculizumab) and is expected to bring in $1.93 billion. Both Soliris and Ultomiris are monoclonal antibodies that bind to the complement component C5 and interrupt a pathway leading to the destruction of red blood cells, but Ultomiris is longer-acting, and dosed every eight weeks versus every two weeks for Soliris. It was approved by the FDA in December and launched in the US in January, with regulatory decisions in Europe and Japan also pending. Fifth on the list is Boehringer Ingelheim and AbbVie’s interleukin-23 inhibitor Skyrizi (risankizumab), another drug addressing a disease with a large patient population – psoriasis – with US, European and Japanese approvals all expected in the first half of the year. Forecast sales for Skyrizi in 2023 are $1.74 billion, helped by follow-up indications in psoriatic arthritis, asthma, Crohn’s disease and ulcerative colitis. That’s a bold forecast given that Skyrizi is heading for a very crowded market. In addition to biosimilars of big-selling first-generation TNF-targeting biologics, it will compete head-to-head with other IL-23-targeting drugs including Johnson & Johnson’s blockbuster Stelara (ustekinumab) plus newer entrants Ilumya (tildrakizumab) from Sun Pharmaceutical/Almirall and J&J’s own follow-up Tremfya (guselkumab), plus IL-17 blockers headed by Novartis’ Cosentyx (secukinumab). One list member with no competition to face is number six on the list – Aimmune’s AR101 for peanut allergy – that is expected to become a $1.17 billion seller and a potential life-saving therapy for the estimated six million people with this allergy in the US and Europe alone. The oral drug contains peanut allergens and is designed to be given in escalating doses to induce immune tolerance. A regulatory filing for US approval of AR101 in children and adolescents aged from 4 to 17 years was submitted in December with a request for a priority review, although Clarivate is expecting a verdict from the FDA in November. Broadening the eligible patient age range for AR101 would further increase its market appeal, says the report. An EU filing is due in the next three to four months. Finally, the last entrant on the list is another gene therapy for a rare disease. bluebird Bio’s LentiGlobin (beta beglogene darolentivec) corrects the defect causing beta thalassemia, a blood disorder that produces life-threatening anaemia. Sales forecasts for LentiGlobin in 2023 are $1.12 billion. If approved, LentiGlobin would enter a market in which there is a high unmet need, with the only curative treatment a stem cell transplant that is limited by the availability of matched donors and the risks associated with the use of donated cells such as graft-versus-host disease (GVHD), organ damage and infections. Overall, this year’s list “indicates a shift toward blockbuster-potential drugs targeting niche patient populations, buoyed by strong collaborations between big and specialty pharma companies to develop these therapies,” says Clarivate.